Strong Museum, Rochester, New York. Interactive Installation Exhibition"Emanations of the Light" currently installed exhibit entitled "What's Hot in History." The Strong Museum, a history center for families and children. 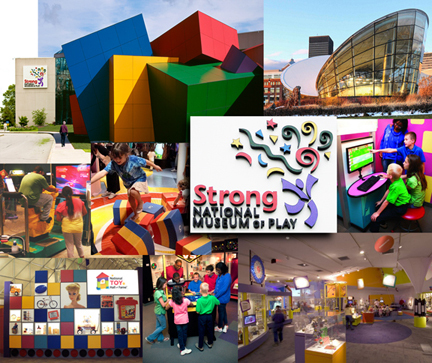 Strong Museum offers the museum's world-renowned collections and award-winning exhibitions to create exciting learning experiences. The exhibition features history-related CD ROM'S and offers them for guest browsing and use. 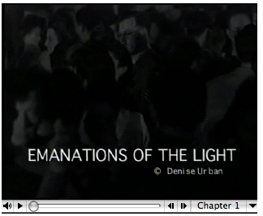 "Emanations of the Light"-The genesis of this very personal work arose from a private collection of photographs, love letters and memorabilia saved by my father, a staff photographer, for the 6th Floating Air Craft Carrier, in the Pacific during WWII and Post war Japan from 1942 to 1946. This is a life history manuscript that preserves the private story of one individual American soldier. National Educational Media Network,Winner of the 1998 Silver Apple Award Competition recognized as a standard of excellence in educational media for MFA Thesis "Emanations of the Light". Winners of the NEMN Gold, Silver and Bronze Apple Awards are selected for their exceptional educational and technical value.